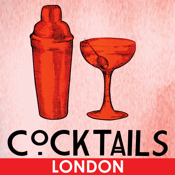 Impress your friends with your knowledge of the underground bars of London. Like discovering places before everyone else? Love a good cocktail? Enjoy quirky adventures? Then this app is for you. We live in London and we're big fans of independent, quirky bars that strive to do things differently. Whether that be making cocktails using nitrogen & fire or having a secret entrance, with a secret knock that only the locals know. We've filled this app with 50 of our favourite and least-known bars for you to discover yourself. The app randomly generates drinking options and will also tell you why they're so special. In no time you'll be impressing your friends with your knowledge of hidden London.